Now open for the first full season. A private stretch of Lower Orange river meandering through Breathtaking Mountain vistas in the world’s longest mountain desert. One of the safest, inaccessible, exclusive and remote river habitats in Southern Africa. Tucked away in the middle of the harsh desert on the river’s edge and linked by two ultra luxury boutique lodges and manors on both ends (40 kilometres apart), we have created a playground for the discerning adventurer with extreme privacy, superior products and lifelong memories in mind. Both ends/lodges have private landing strips, game reserves, Health and Wellness centres and all the amenities and pampering associated with 5 and 6 star facilities. The two lodges and manors are linked by air, water and road. · Private executive conferences and holidays. · Tourism safety specialists as hosts. · Award winning photographic guides and hosts. · Arguably the world most exclusive and unique fly fishing holidays. 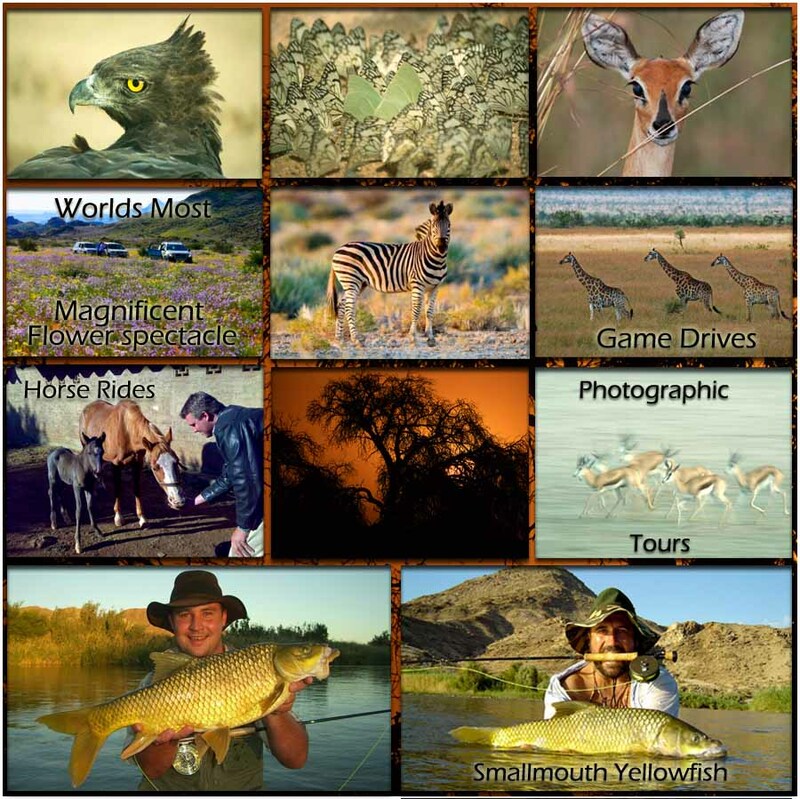 · South Africa’s Oldest and first wilderness raft fishing company. Chopper/Heli fishing available. · Sit back and Raft without paddling between lodges while bird watching, stargazing, sipping on a whisky or local wine and enjoying a private bush lunch on the river’s edge. · Air exploration with fixed wing aircraft or chopper. · Holidays linked with Kgalagadi Transfrontier Park, Augrabies Falls Park, Namaqualand and many other Game reserves and destinations. · Exclusive Wellness and Healing holidays. Click below to go Back to page 1 of our Exclusive Wilderness drift fly fishing package.